This Mystique cosplayer must be a long way from her Magneto - he'd never have let her out with such red crazy hair? Put 'em up, X Man. Or other wise known as come hither Wolverine. 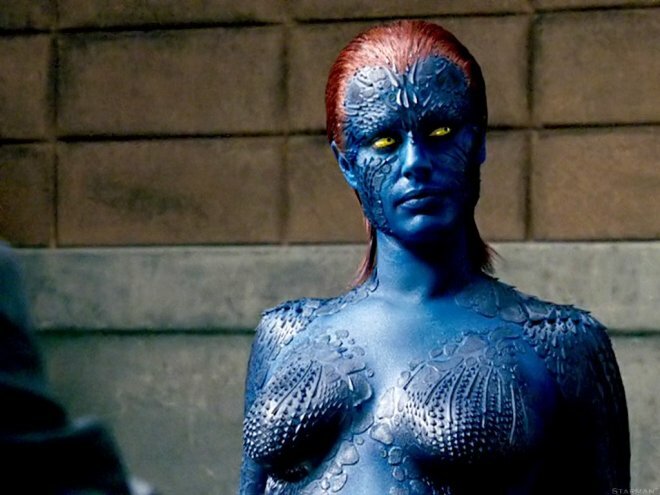 Mystique Cosplayer who appears to be wearing her birthday suit. We like suits at Gears of Halo. 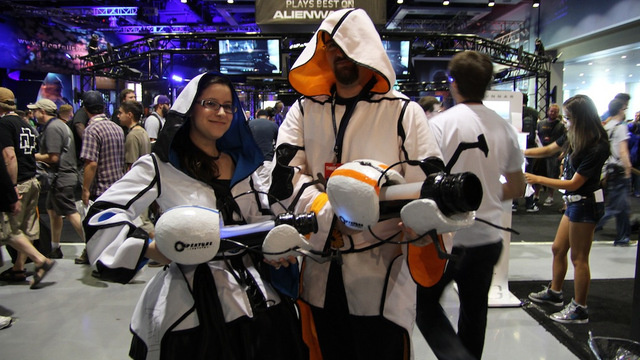 Attention Fanboys... this is the lady you were looking for! Those eyes suggest a hint of crazyiness much? I think this Mystique is faking it. What do you think - are following that classic piece of advice, fake it, till you make it? Ah, yes, it's a tree. I love nature! If you happened to watch right to the end of the Halo 4 Concept Art Video that was released over the weekend during the Halo Festival at Pax Prime you might have spied a very orange and angry ending which appears to be showing some kind of creature. Is this an enemy you will face in Halo 4? Or is it a friend? Time will tell but colour me HUGE FREAKING EXCITED. And here's some images of the art from it. Fans of the Mass Effect™ series looking to go deeper into the Mass Effect universe are in luck. Dark Horse is proud to announce The Art of the Mass Effect Universe, an expansive, hardcover art book showcasing the stunning and imaginative art behind the highly anticipated action RPG Mass Effect 3. 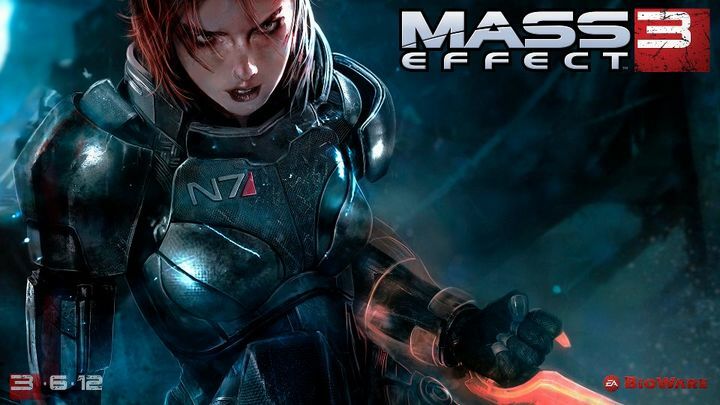 With commentary from the creators of the Mass Effect series, The Art of the Mass Effect Universe invites fans to get a behind-the-scenes look at the critically acclaimed franchise. 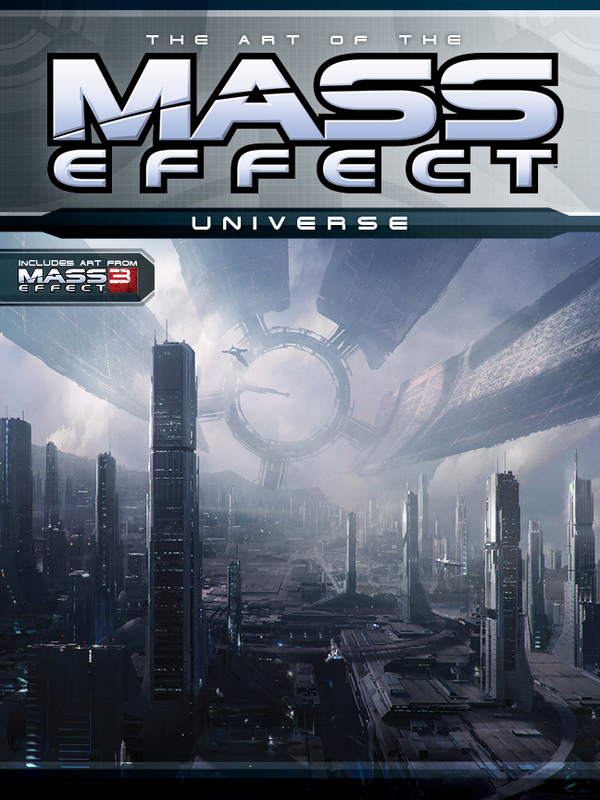 The Art of the Mass Effect Universe will be available for purchase in February 2012 for $39.99. From the award-winning developers at BioWare™ comes Mass Effect 3, the pinnacle of the critically acclaimed epic action RPG series. The galactic war has begun. An ancient alien race known only as the “Reapers” has launched an all-out invasion of the galaxy, leaving nothing but a trail of destruction in their wake. Earth has been taken, the universe is on the verge of total annihilation, and you must lead the counterassault to take it back. The price of failure is extinction. Only you, as Commander Shepard, can determine how events will play out, which planets you will save from annihilation and which alliances you will form or abandon as you rally the forces of the galaxy to eliminate the Reaper threat once and for all. Look for Mass Effect: Invasion, the latest comic series, to arrive on October 19, 2011. 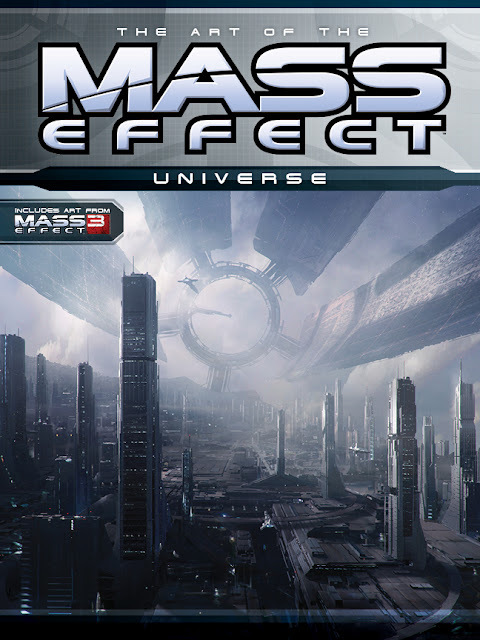 The collection of the previous series, Mass Effect: Evolution , is on sale September 21, 2011. Finally, some additional details were revealed, such as how the humans, now at peace, have started researching forerunner technology. The result of this is apparently are seen in the new human weapons, which show traces of forerunner influence now. So this makes me wonder - for how long as the Chief and Cortana been sleeping in space? 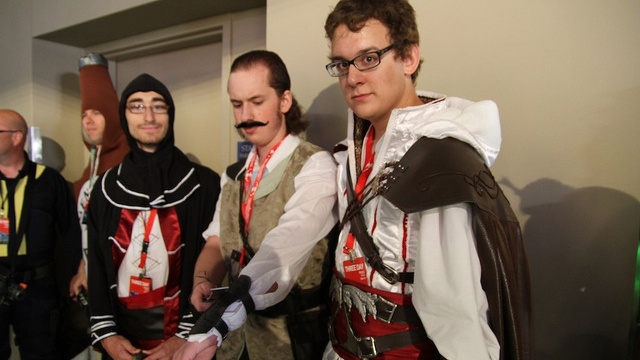 Panels are all the rage these days and PAX 2011 is no exception. Bioshock: Infinite fans were treated to one hosted by Irrational Game’s Ken Levine, and voice actors for the game, Troy Baker and Courtnee Draper chatted about the third game in the horror series. Ken Levine didn’t meet any of the actors from the first BioShock , he only ever talked to them over the phone before recording sessions, but for Infinite he was extremely hands on, often getting in the recording booth to help out the actors. The actress who plays Elizabeth – Courtnee Draper – is going to law school, and was actually about to quit acting when she got offered the part for BioShock Infinite. 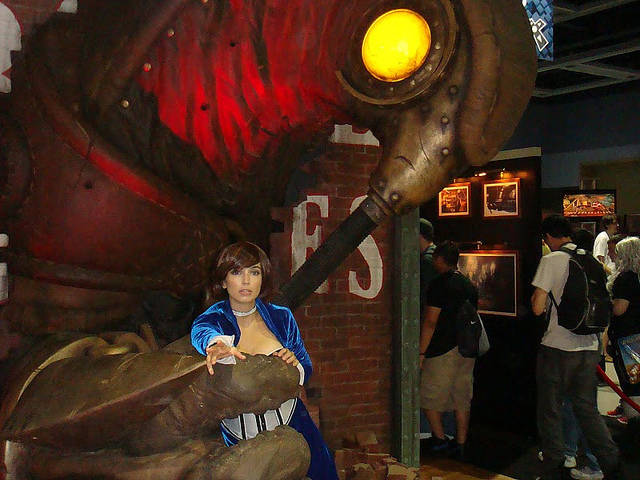 She actually hadn’t heard of BioShock before her audition. The Uncharted games really inspired Ken Levine while working on BioShock Infinite. Few of the dramatic sequences in BioShock Infinite are not truly scripted. BioShock Infinite has a system that watches for cool opportunities to introduce dialogue sequences, so the game’s story will evolve differently for every player. Ken Levine wanted every line of dialogue to sound perfect, so a lot of time was spent rerecording lines. Three lines, in particular, proved to be so challenging that it took the team over an hour to record what they wanted. At least one scene in the game was not originally planned for the game, but was pieced together using ad libs and extra lines from other recording sessions. During one particularly difficult recording session, actress Courtnee Draper was having trouble working up the emotions necessary to deliver her lines, so Draper encouraged the actor who plays Booker DeWitt (Troy Baker) to start berating her until she was in tears. Finally she was able to deliver her lines perfectly. Aria T'Loak vs Predator crossover? 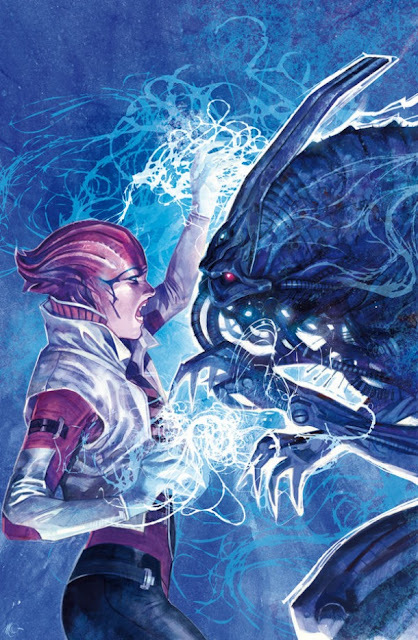 Not quite, simply some artwork from the forthcoming Mass Effect: Invasion comic series that's coming out shortly. Invasion will be a tie into to Mass Effect 3. It seems like Femshep is all the rage these days with votes to see what colour her hair will be and special marketing campaigns etc. Well, anyways here's some Femshep Wallpaper to make your computer screen feel all happy on the inside and all business on the out. As part of Halo Fest, 343 has released this video of Halo 4's concept artwork. I've taken some 720 res shots for us all to enjoy direct from the video. Don't thank me, buy me something. Here's a would-be-Spartan taking a wee stroll through some kind of canyon. Is it me or does this Halo 4 artwork feel a bit Ralph McQuarrie inspired? That's a good thing! Is one of the Halo 4 skulls hidden within this Forerunner Structure? This one is my favourite, it really evokes a Sci Fi feel. Space. It's no place for a flat tyre. The new Halo series, starting with Halo 4 is to be known as The Reclaimer Trilogy. "He said that with the Chief headed toward a mysterious new planet, the team is investing heavily in the look and feel of the Forerunner civilization. O'Connor chimed in, saying that players have seen inert, abandoned Forerunner structures in the past, but now they'll see what that technology looks like when it isn't completely dead." "Halo 4's story is still being closely guarded, but O'Connor did emphasize that the game will be a direct sequel to Halo 3, and that it deals with the fate of Master Chief and Cortana." Quickest skull pix I could find! Halo Fest has revealed Anniversary will have a new set of skulls for a novel gaming experience. Grunt Birthday Party – Yay! 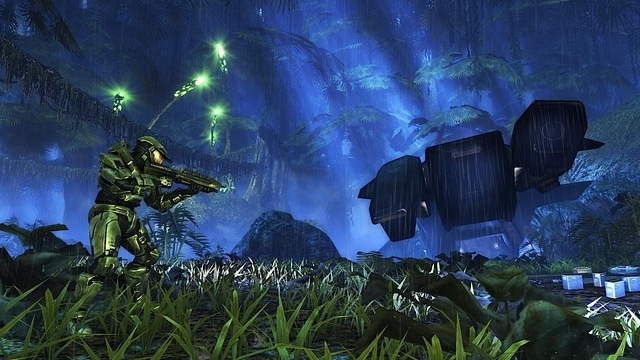 Grunt Funeral – Like Halo 2 version, Grunts explode when they die. Available as a pre-order bonus. Malffunction – Every respawn a random HUD element is missing for the player. Boom – Each explosion radius is doubled. Skulls only appear and can utilised up in the new graphics engine mode as they won’t appear in “Classic” Halo mode. 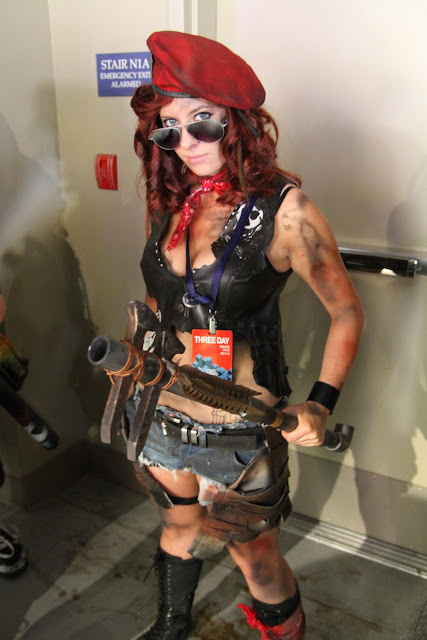 Here's some cos play from Pax 2011. As you'd expect from such a popular event, the costumes are all over the place ranging from Fallout to Bioshock: Infinite. Check out these great pictures! 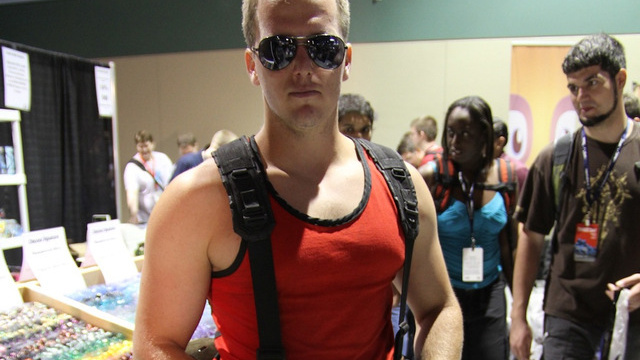 Looks like Carmine is alive and well at Pax. At least for now - do you think Carmine will live or die in Gears of War 3. It's out next month. Excited much? 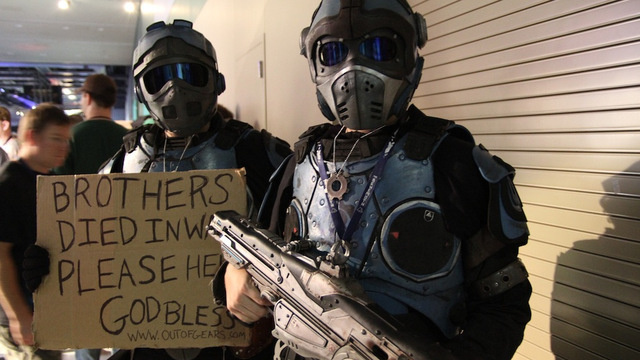 Here's some cos photos from a PAX event earlier in the year. Here's the article on my love for Halo that I submitted to Age of Gratitude. If you have a cool Halo story to share, why don't you write it and send it to them? You know how you occasionally realise that you just witnessed some form of art that was something wicked awesome? For me one of the first such moments I remember having was seeing Darth Vader chop of Luke’s hand and then tell him he was his Father. The joke’s on you kid. And that’s just like the joke that got me hooked on Halo Combat Evolved. The Halo is a bomb that will kill you and every other living thing in the universe if you fire it? And I nearly turned it on? Master Chief, you had me at hello. It was about 7 years ago when my flatmate turned up with a game called Halo: Combat Evolved. I hadn’t played a PC game in years, probably not since the glorious Duke Nukem on the PC which I must have played a thousand times. Popping my Xbox cherry on Halo, I played CE through in a week or so, literally dreaming of it, going to work and day dreaming about Hunters at the top of a hill….. and so it began – I can’t imagine how many thousands of Halo 2 online games I played, H3 was only slightly less in number as I played a lot of campaign … how many Halo Maps have I bought? All of them. How many blue stickies to the face have I received? Call me Papa Smurf. Halo’s both campaign and multiplayer have their wondrous moments. I still fondly remember my first triple kill on Ascension. I threw a grenade and was rewarded. A massive fluke but massive fun. In H3, a double triple on Snowbound (I love that map and don’t understand the hate) was a true highlight – my l33t skills coming to the fore? Were it so easy. A 14 kill steak on Ghost Town camping with a sniper rifle? 5 minutes of perfection. Finishing The Library on Legendary? Man Points Awarded. Finding some hidden Skulls on Halo 2 without using ‘helpful tips from the internet’? Satisfying. Downing two Scarabs, fighting through a horde of Flood and seeing the Arbiter deliver some some swift and righteous sword justice? Priceless. Getting Cortana on board the Pillar of Autumn? Just doing my job, Sir. Bungie has created a monster and I love them for it. My first Halo Man Crush was on Frankie from Bungie. I found HBO pretty quickly too. BS Angel. 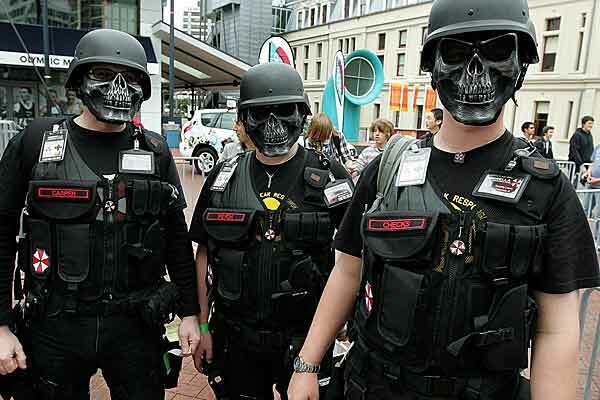 Ascendant Justice, and nowadays Urk. I heart them all. I do try and share the love too – Halo got me writing about the game, especially as I pined hopelessly for ODST to drop. I specifically started my gaming site Gears of Halo because of my desire to write about Halo and it’s wondrous universe. Remember how in the Teenage Mutant Ninja Turtles one of them would yell, “Gee I Love Being A Turtle”!? Well I love being a Halo fan in the same way. It’s not just the games and their epic game play. It’s the story. It’s the attention to the story’s detail and the continuity from one game to the next. It’s the humbleness that Bungie ooze. Sure, they let you know they rock every so often but I think that’s because they think the game’s fans rock and they just wanna hang with them! Who really knows what the future Halo universe will look like? If the quality is there, I’m sure the fans and community will continue to engage – but at the very least, we’ll always have those boys from Bungie to thank for starting it all off and pointing the Amber Clad in the right direction. I heart you Bungie.